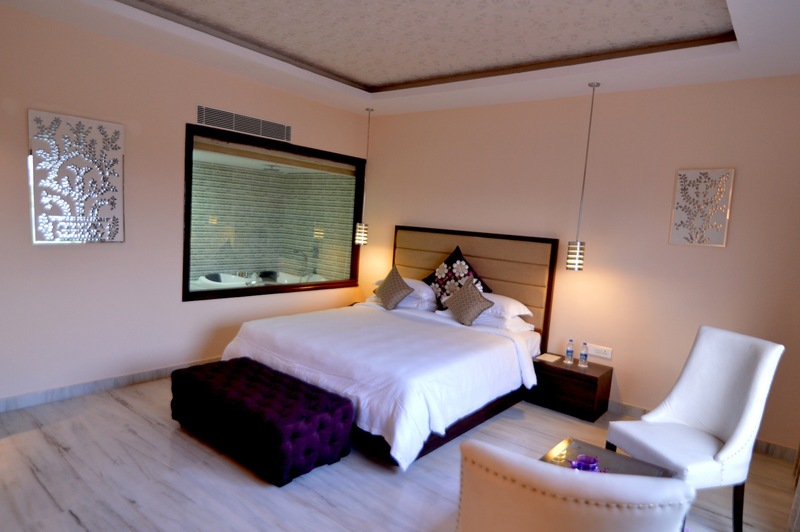 Suit Rooms at Q Hotel Udaipur has different theme of thikri glass paintings gives each room a different style. 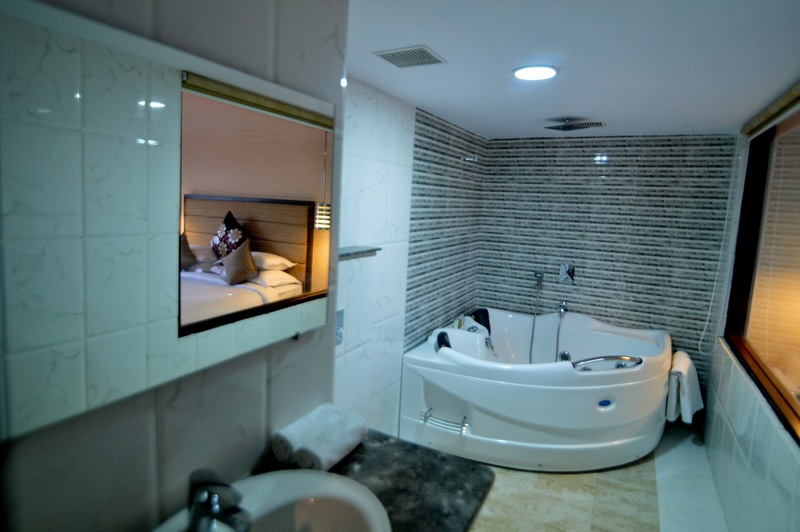 It features marble floors and a separate soaking Jacuzzi Tub and a Relaxing Couch. 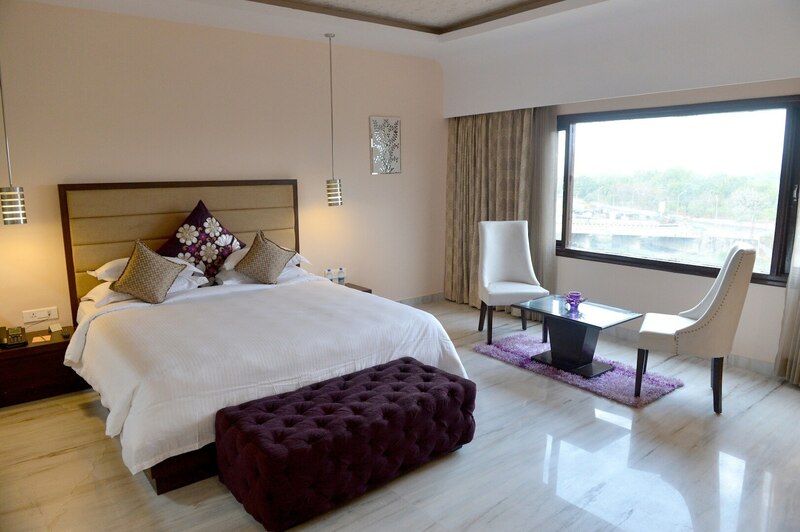 Room has beautifully crafted room ceilings, the light affects in each room creates a warm ambiance for the guest. Complimentary 02 Bottles of Mineral Water (500 ML), Tea/Coffee Maker, Mini Refrigerator, Iron and Ironing Board on Request, Electronic Safe, DVD Player & CD's on request, Hair Dryer, Shower cubical, Hi-speed Wi-Fi, LCD TV with satellite channels. Luxurious bath amenities & accessories are add ons to room facilities.